Former Manchester United defender Nemanja Vidic has aimed a dig at Arsenal boss Arsene Wenger with regards to a comparison to Sir Alex Ferguson. The 35-year-old spent eight years at Old Trafford, making 300 appearances for the Red Devils and winning five Premier League titles as well as the Champions League in 2008. As one of the most important figures in Ferguson’s last dominant squads, the former Serbian international has spoken in glowing terms about his old boss, and has picked out a pivotal difference between him and Wenger. 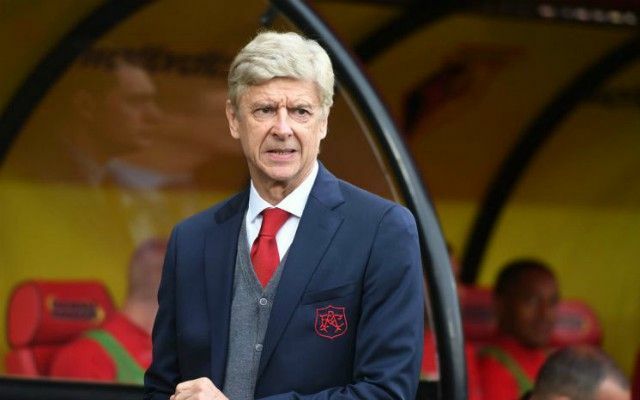 Laurent Blanc, Steve Bruce, Mark Hughes, Paul Ince, Roy Keane, Gary Neville, Bryan Robson and Jaap Stam are just a few of Ferguson’s former players to become managers, while the number is significantly less when it comes to Wenger and Arsenal. Remi Garde, Patrick Vieira and Tony Adams are just three names to have tried their hand at coaching, but they haven’t enjoyed any real level of success as of yet. And that’s where Vidic’s criticism comes in. Wenger hasn’t been particularly open to letting his former players come back as part of the set-up at Arsenal over the years. Thierry Henry looked elsewhere after a brief stint while Vieira never returned. Although, perhaps the stance has changed in recent years with Robert Pires and Freddie Ljungberg involved at the club while Steve Bould is assistant manager. However, it’s still not enough to make Vidic’s point any less valid, and so it remains to be seen whether or not the pattern changes in the coming years or if his management style continues to keep the trend going.